Breaca was patron of this church by c.1170. According to c.1540 extracts from a Life written in the 14th or 15th centuries, Breaca was born in the regions of Leinster and Ulster. Her first local settlement and church here was at Chynoweth, near Trew, but the present church where she was reputedly buried stands on a different site. The circular shape of its “lan” (churchyard ) can still be observed despite enlargement during the Victorian era. 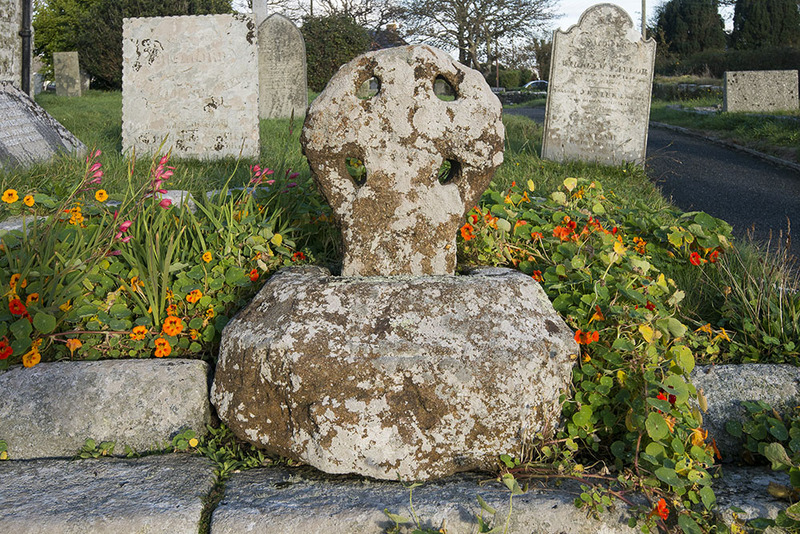 An ancient Celtic Cross is situated near the South Porch. Whilst there is no evidence that this was actually associated with Breaca herself, it is of interest in that it is made of sandrock, a softer material than granite. Parish rivalry between Breage and Germoe is shown in the 18th century Germoe saying that ‘Breage was a midwife when Germoe was a king’. Like the saint’s life this is the stuff of legend as Germoe, Cury and Gunwalloe were all originally chapels of Breage. Until the Reformation all four churches and Paul church near Penzance belonged to Hailes Abbey in Gloucestershire. The present church was probably built in the early 12th century. It was considerably enlarged with north and south aisles and chapels and transepts from the mid-15th to the mid-16th centuries. This church as viewed from the exterior is much as it was over 500 years ago. Breage church today houses an important series of late medieval Wall Paintings executed shortly after the completion of each section of the church. They show St Christopher together with a warning to Sabbath Breakers, and locally significant saints – St Hilary, St Corentine of Cury, St Ambrose and St Michael. On the south wall are St Thomas Becket, St Giles and Henry VI who was never canonised. 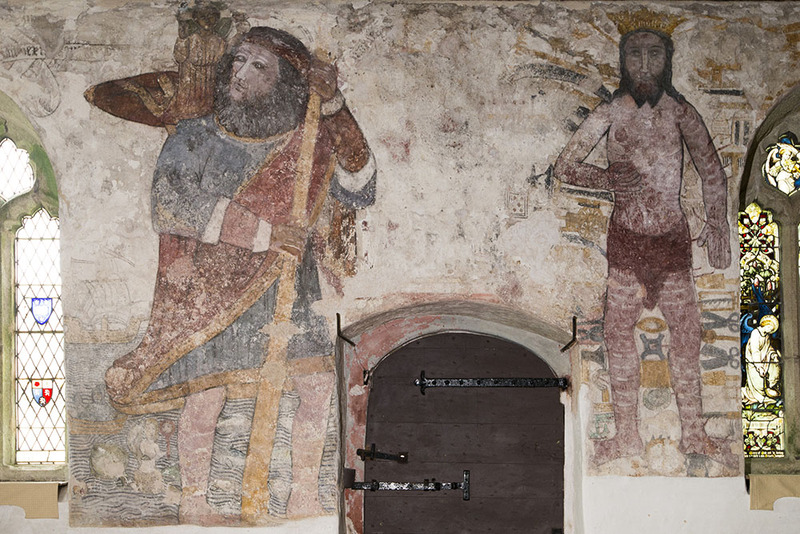 The paintings were discovered in 1890 when the church was being restored. Other painted work includes a 16th century text panel and 19th century stencilling at the east end. 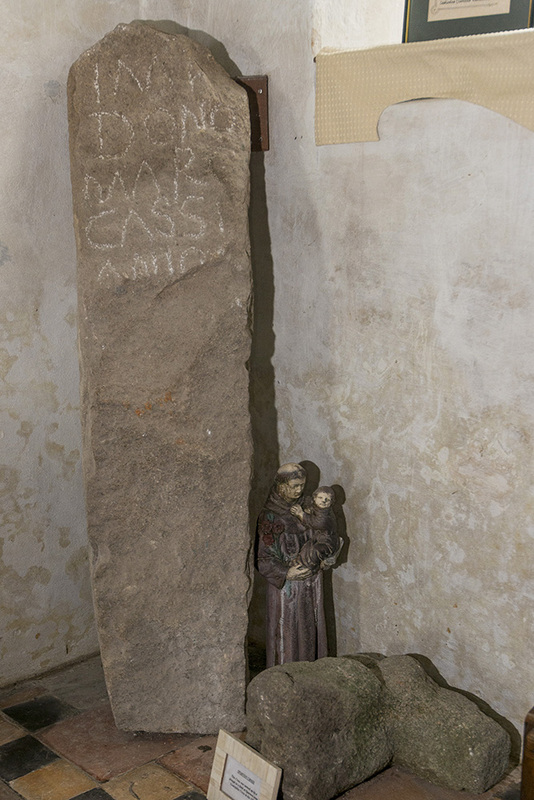 In the Godolphin Chapel is a carved stone bearing a late medieval representation of the crucifixion with the figures of St Mary and St John on either side. This was found on the coast near Tremearne. The Royal Coat of Arms above the entrance door was carved in high relief from oak by a lady parishioner and took two years to complete. Other unusual features are the 19th century reredos carved by Belgian carvers and a Roman ‘milestone’. 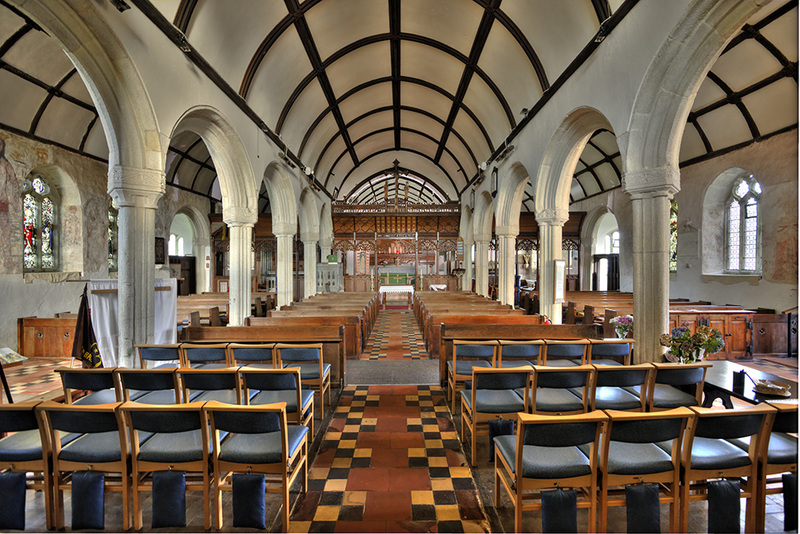 This small Cornish village is fortunate to have such a fine and historic church. Its preservation is due in no small part to the generous support of visitors and of Breage and Cornish families now spread all over the world.